Once, I found the pieces of a half-built bird’s nest on my front porch. 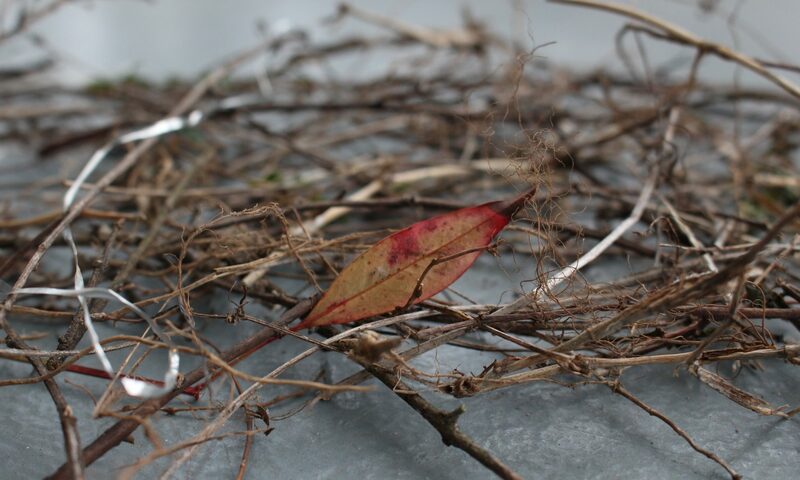 It was a loosely woven circle of sticks, a thread of tinsel, and a leaf. Often, I feel like my theology, my philosophy of life, is like this: a loose affiliation of ideas, convictions, and experiences that don’t intersect neatly or even naturally, but which I cannot help but weave together—and which, for me, feel like a home. My name is Sarah. I am a pastor, a writer, a thinker, a musician, a teacher. The pieces of who I am and how I understand the world are disparate and haphazardly gathered, but they are bound up in ways that hold me and my worldview together. What are the pieces of your identity and perspective, and how are they connected?